This time last year I was cursing El Nino, stalking the Weasel Workers and realising why the world has such a crush on Lindsey Vonn as I donned my best “I’m a serious sports journalist” face and joined the online reporting team covering the Games for NBCOlympics.com. It was, in all likelihood, a once-in-a-lifetime opportunity. And I’m glad to have had it. But we’ve eaten enough Olympic cake. Any more cake should be sent, instead, to Erik Guay in Garmish Partenkirschen, Germany, where he just took the World Cup alpine skiing downhill Championship. 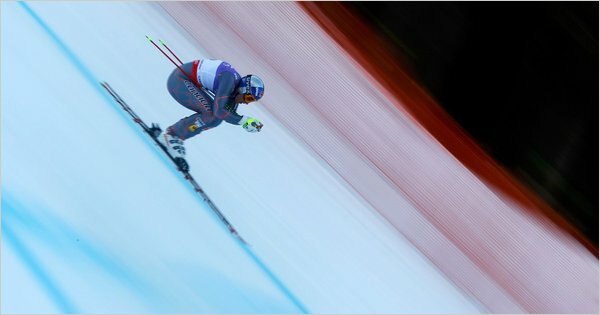 Guay, who came within 21 feet of the podium in the 2010 Olympic downhill, finished his 2010 season by taking the overall World Cup in Super-G, and has now been crowned the downhill world champion. His performance builds on a streak of world championship podiums for the Canadian alpine team, which have unfortunately been overshadowed by their failure to leverage the supposed ‘home-snow’ advantage during the Games.